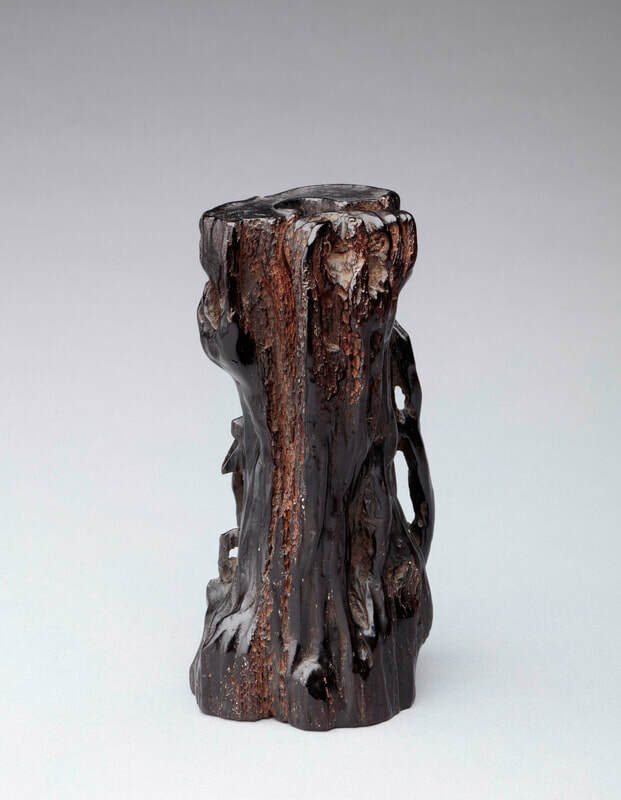 A naturally formed zitan root holder for sticks of incense, chosen because its natural form simulates the textures and fissures of rock. 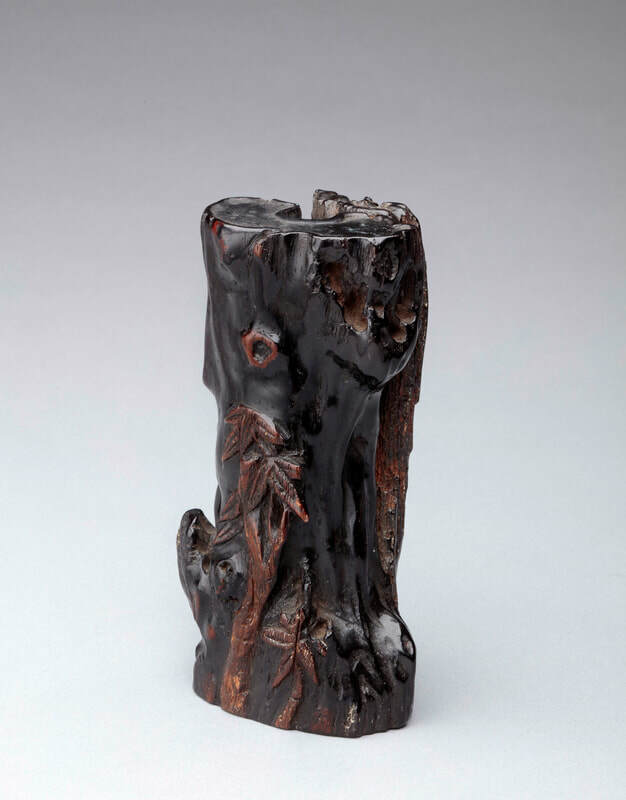 One side is additionally carved from the paler, brown sapwood with bamboo branches and a knot. 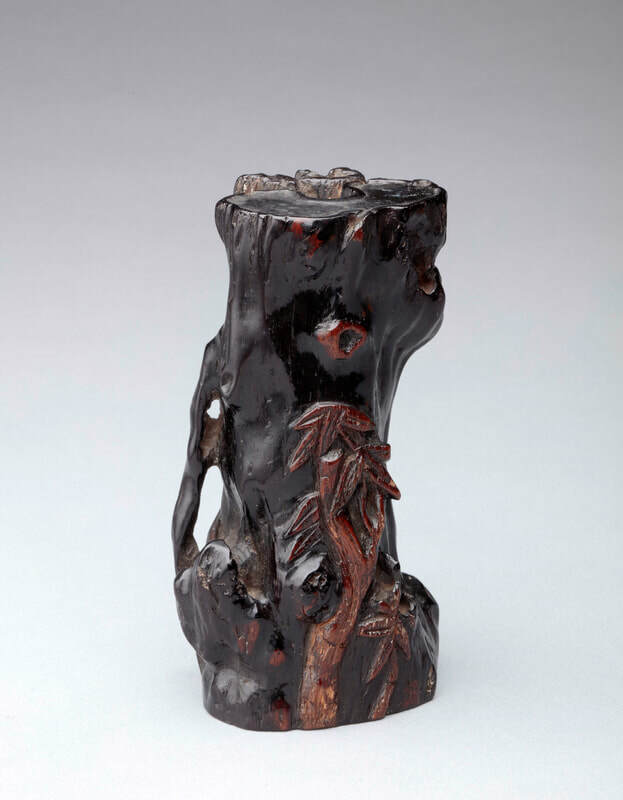 The flat top of the vessel has a raised edge conforming to the silhouette of the cliff column and the foot is flat with an irregular central recess.